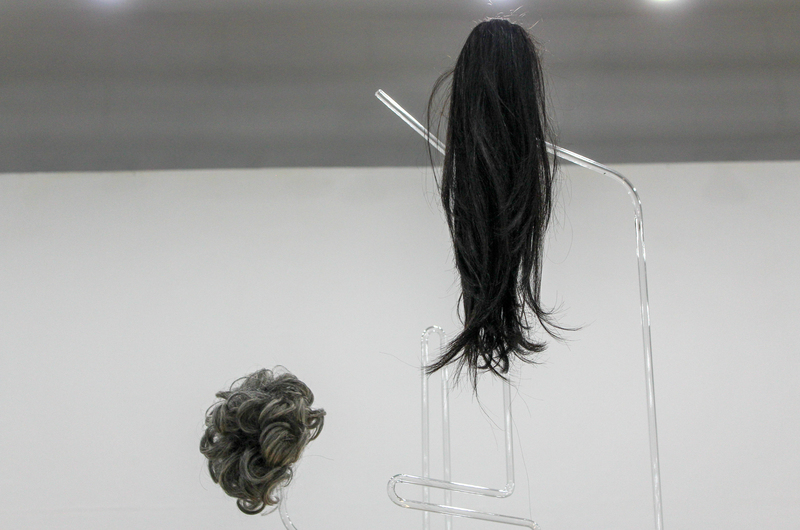 A dangling wig rests above the heads of most visitors — but the rest of the intricacies of Cindy Cheng’s “Blind Side” are at a more comfortable eye level, with homey ceramics and lights nestled among the shelves of the sculpture. It’s one of the most eye-catching pieces of the student-curated exhibition “Implicit Dimensions” on display at the Anderson, a student gallery. With many decorative intricacies, it evokes themes of interior decoration — that is, if a basket of hair accessories were substituted for the bowl of ceramic fingers that sits on a corner of the sculpture. Bantly studies philosophy and painting and printmaking with a minor in art history. She said the combination of those subjects has given her a “language” to talk about art with a level of critical rigor. While the Anderson does exhibit student curations, a majority of the submissions are for showings of student work. Chase Westfall, the Anderson’s curator of student exhibition and programs, said “Implicit Dimensions” — which was a semester-long project — served to encourage more students to participate in curation. 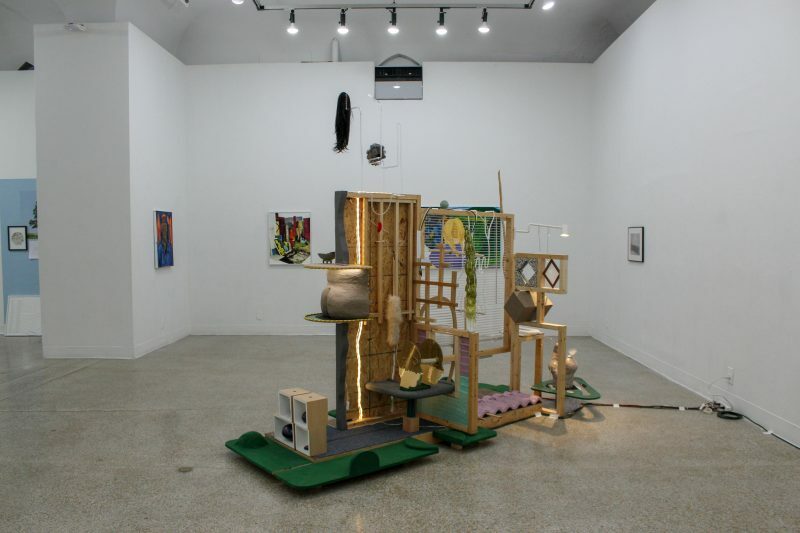 By selecting nine emerging Baltimore artists for the exhibition and arranging several visits, students dealt with the technicalities of organizing the exhibition in another city. At the same time, Westfall said, the comparatively brief three-hour journey made the project feasible, and the “sisterhood” between the two cities with developing, grassroots art scenes made the location a good fit. Experiencing curation empowers studio artists, Westfall said, because it gives them insight into the perspective of galleries and other players in the exhibition process. And that has practical implications for students post-graduation. The students conducted studio visits with the selected artists, which involved discussions about their work. Spencer Dewey, another student curator and craft and material studies major, said the visits were a step in developing the show’s theme. “[The visits] helped us decide who we wanted to include and figure out how we wanted the message of the show to come together,” Dewey said. 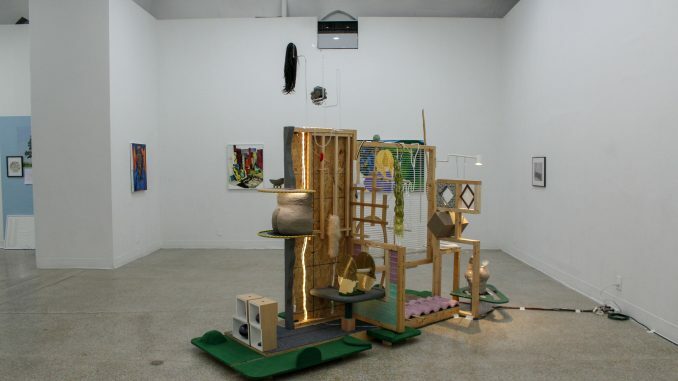 One of the pieces Dewey had a prominent role in curating was “Old Oak” by Amber Eve Anderson, which employed the process of archiving — the careful selection of objects in order to curate a specific meaning. 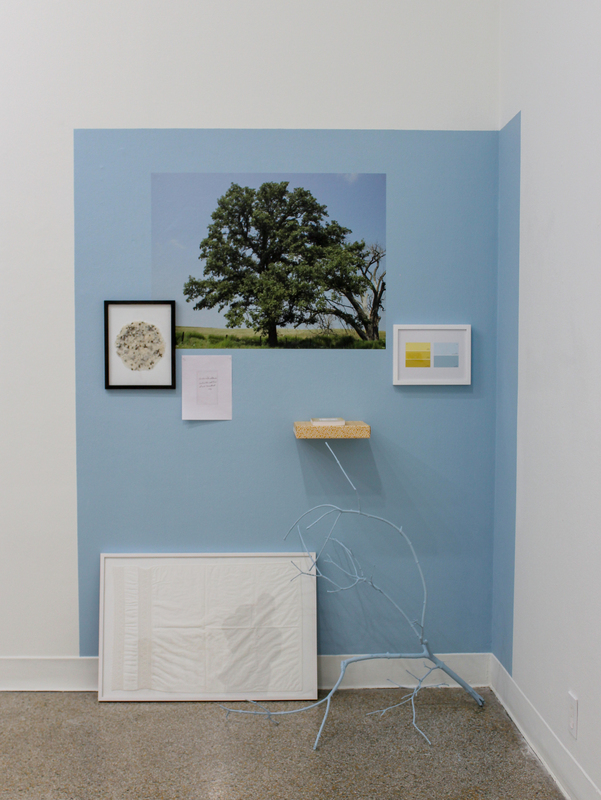 The work displays a selection of pieces related to Anderson’s family homestead in Nebraska, centered around the image of a lone oak tree. Its presence apparently signified the presence of underground water, according to Native Americans in the area, Dewey said. An orange book on a shelf is situated below the image of the oak tree, and the blank pages represent research difficulties Anderson experienced. Dewey said she felt “honored” when she was nominated to participate in the exhibition. The experience of working with practicing artists gave her insight into different styles and her own preferences. “It was really interesting as an artist thinking about how you could be in their place some day,” Dewey said.